Hermes has a long list of classic handbags and they don’t create new ones very often. But when they do, you will always be the first one to know at Bragmybag. Now introducing the Hermes Opli Clutch Bag for the Spring Summer 2017 Collection. 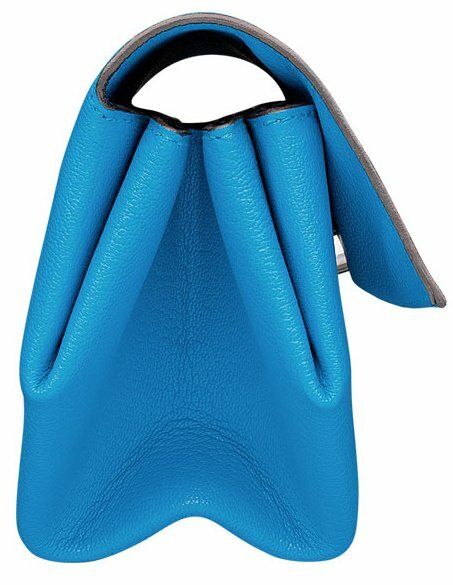 The Opli Clutch Bag is designed in single colors with a futuristic appeal. The lines are perfect, the edges are sharp and it looks minimal. It’s made with a front flap that can be opened with a hidden snap closure. If you take a look at the sides, you will notice that the leather has been folded to create the interior, which is a clever idea. And because the interior is foldable, it can expand when you open the clutch. 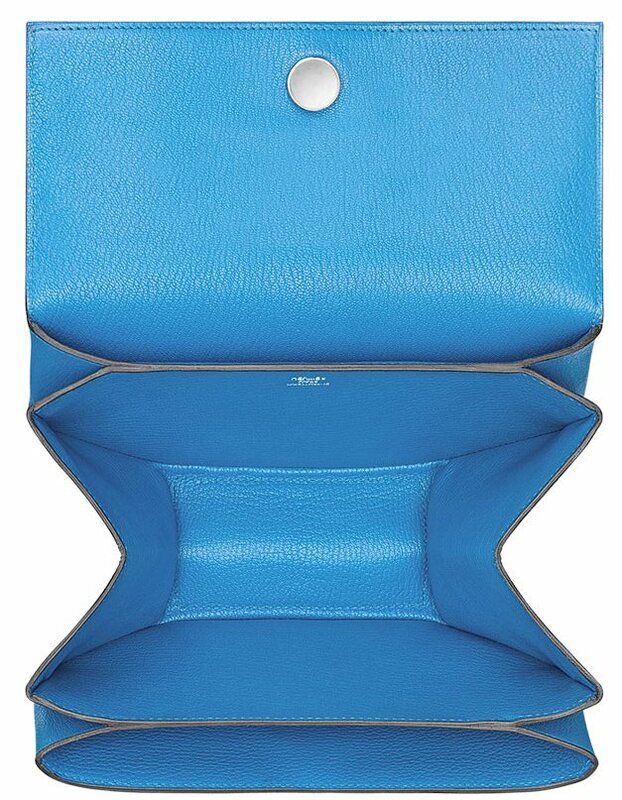 Inside you will find one large compartment (quite big for a clutch bag) to help you carry your essentials. This large compartment looks like the inside of a small box. There is also a smaller interior front pocket for mini accessories. 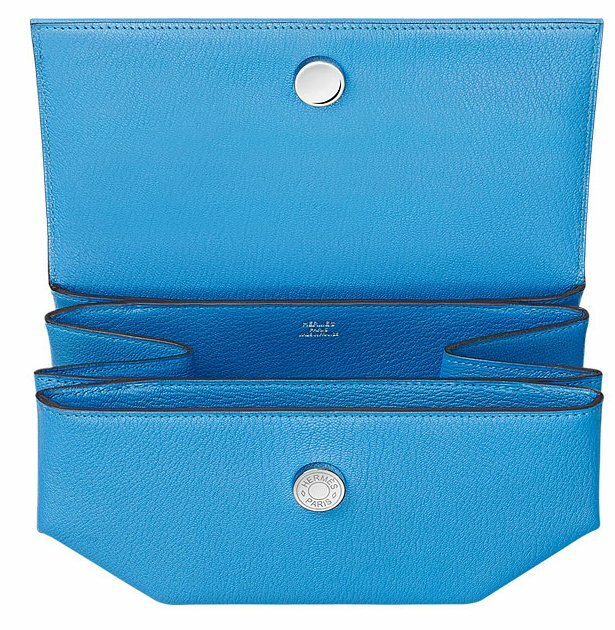 Overall, the Hermes Opli Clutch looks easy but it’s all about the structure of the design. This bag is made from goatskin, which is a strong and durable leather. Measuring 8.3’ x 4.7’ x 3.1’ inches, priced at $3225 USD via Hermes boutiques. So what do you think? Is it stunning or…? Phillip Lim celebrated the 10th anniversary of his numerically tweaked eponymous label over New York Fashion Week. With a Spring ’16 collection that’s equal parts sporty, streetwise, and feminine, and all parts fresh and modern, to say the designer has hit his stride is an understatement. And with bags like this, of course, he proves he is going stronger than ever. The Hermes Egee Clutch, released in 2011. If you’re a regular Hermes shopper, then you must have seen this design many times. This clutch bag is special, because part of the design features the Chaine d’ Ancre, which is an iconic symbol of the House since 1938. This idea came from Robert Dumas-Hermes, who took control of Hermes in 1951. He was inspired by the Shipyard of Normandy and amazed with the anchors of large naval vessels. With such a historical piece at hand, stealing the spotlight is a piece of cake, don’t you think? 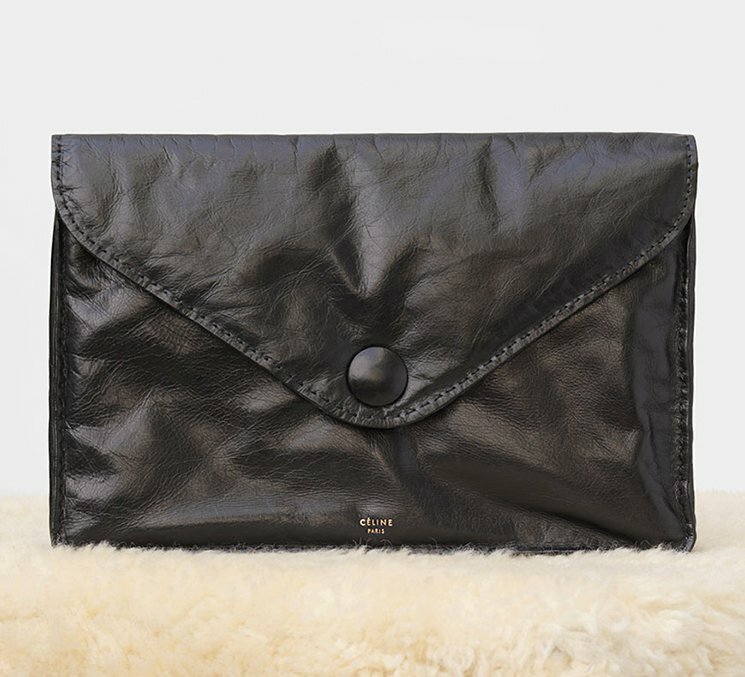 Kitmin is the proud owner of the Hermes Egee Clutch, the price was $4525 USD. Thanks for sharing the image and congrats with your new purchase! 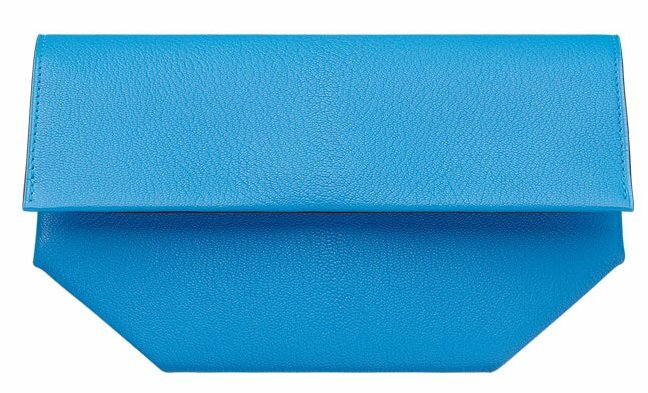 The all brand new Celine Soft Pouch Clutch in Paperweight Calfskin looks like it will own the spotlight for quite a long time. Unique and with a distinctive class of its own, this pouch clutch should be definitely in your fashion books! The Celine soft pouch clutch is sporting a new material called ‘Paperweight Calfskin’. It looks light weighted and flimsy, perhaps that’s the reason why it is called Paperweight because it might weigh as much as a paper. Quite interesting isn’t it? The calfskin leather is also something new. It looks crunchy, no, more like it’s crumpled paper while other thinks it looks like it’s used or like a pillow. It is priced at $1400 USD, €900 euro, £830 GBP, $1800 SGD, $11000 HKD, 140000 JPY and is available via Celine online store.